If you find your marriage is declining, you’re not alone. 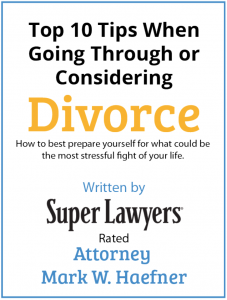 There are numerous reasons why couples choose to get divorced, and while sometimes it’s possible to save the marriage, other times divorce is the best resolution for everyone involved. Here are 5 common contributors to divorce and how to get the legal help you need if you are considering divorce or are involved in one. Money problems are likely one of the most frequently seen causes of or contributors to divorce. Whether it’s disagreements about how one partner is spending money, or just plain struggling financially, many people find that money is a root cause of trouble in their marriage. When one or both partners have trouble controlling their anger, it can lead to explosive arguments and long-lasting resentment. Over time, this can deteriorate the foundation of a marriage. When one partner cheats on the other, it can be a difficult thing to forgive and move beyond. Many couples divorce over infidelity, especially when the infidelity was planned, continued, or hidden and the cheating spouse lied. For a marriage to work, both partners must have similar ambitions for their future as a couple, be it starting a business, starting a family, traveling, or something else. When those ambitions change and one person decides they want to do something different, this can lead to a fundamental breakdown in how each views the marriage. Communication is essential in a marriage, but it’s not necessarily that comes naturally. Good communication takes work and constant vigilance. When couples fail to communicate with each other, they can begin to feel as though they are on separate planets and eventually, divorce seems like the better option. While divorce is always something to take seriously, often, parting ways is healthier for both spouses and provides each one with the opportunity to start again. If you’re considering getting a divorce or you are involved in the divorce process, don’t wait until you are overwhelmed before you reach out to an experienced divorce lawyer. At the Haefner Law Office, LLC, we have the experience and resources to compassionately guide you through your divorce proceedings, and we’ll advocate for your rights and best interests every step of the way. Call us today for a consultation to discuss your unique needs at (314) 200-6101. Published August 8, 2016 .